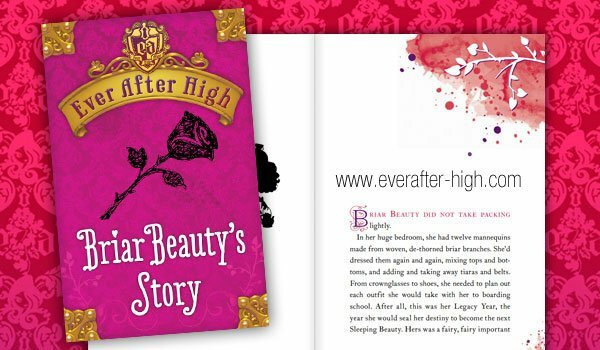 Available the book of Briar Beauty’s Story, in PDF, written by Shannone Hale. 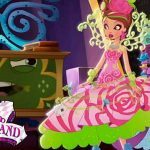 This is a little book that tells us a little more about Briar Beauty, one of the main characters of Ever After High. She is the daughter of the Sleeping Beauty. The writter, Shannon Hale, started writing at age ten and has written about ten books until now. She writes young and adult fantasy fiction and these are some of her enchanting books: The Goose Girl, Book of a Thousand Days, Rapunzel’s Revenge, among others. 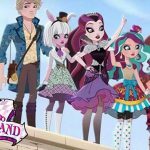 You can also read some chapters of The Storybook of Legends, the book where you will meet all the students of Ever After High. My favorite character is red riding hoods daughter and I think her father is a werewolf so she turned into a werewolf when born. I like her story because it has action and it has an enchanted woods with werewolves. Love the story when I was a baby i even watch the scary movies of red riding hoods mom. Yeah sup. I love Raven Queen.She’s so cool and demanding.She does just want to write her own destiny.When I first read the book I was between Apple White or Raven Queen so I picked Raven Queen.It’s like I’m Raven.